The Witcher 3: Wild Hunt, last year’s top role-playing video game and winner of so many game of the year awards, is getting a Game of the Year Edition this summer according to gaming website PC Gamer. Konrad Tomaszkiewicz of Polish developer CD Projekt Red confirmed that this special edition is in the works, and will be arriving in August this year. 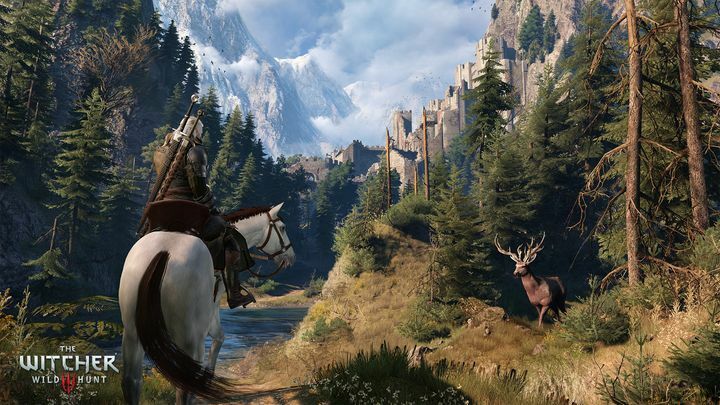 This is certainly great news for gamers overall, although the truth of the matter is that it’s unlikely that any serious RPG fan hasn’t gotten his hands on CD Projekt’s masterpiece yet, even if the release of a Game of the Year Edition will likely pique the curiosity of more casual players eager to find out what all the fuss is about. And truly The Witcher 3 is a pretty great video game, with a dark and gritty medieval fantasy story, fantastic characters like protagonist Geralt of Rivia (the titular witcher), the emperor of Nilfgaard (voiced by one Game of Thrones veteran) and some superb action and quests. This was also very pretty looking game to boot, with the fantasy land of Temeria of Polish author Andrzej Sapkowski’s books portrayed in all its beauty, with its meadows, hills, towns and towering castles. Developer CD Projekt added to the game this year with the great Blood and Wine expansion (after having released the Hearts of Stone add-on earlier) which was set in a new land area and featured more content than some full games released this year, making it one of 2016’s best video game releases to date. So given what a great experience The Witcher 3 has been, what can we expect from this upcoming Game of the Year Edition? Even though CD Projekt already released an enhanced edition of its previous game The Witcher 2: Assassins of Kings, which featured new content like additional quests and new cinematics, it’s unlikely The Witcher 3 will get such treatment as the video game company already put out a substantial patch for the game which, amongst other things, improved the game’s user interface quite a bit. It’s more likely then, that a special edition of The Witcher 3 will include the base game, all the free DLCs, and the two paid expansions CD Projekt has put out to date, Hearts of Stone and Blood and Wine. There could also be other extras included to sweeten the deal like the game’s musical score perhaps, or a developer commentary shedding light on the making of the game, which could certainly add value to a Game of the Year Edition of The Witcher 3. Although taking into account how well CD Projekt likes to treat its fans, maybe the new edition of The Witcher 3 will include an additional quest or two, which is a possibility that can’t be ruled out yet, but given how meaty the Blood and Wine expansion was, this is of course an unlikely scenario. But still, a Game of the Year Edition for what is one of the best RPGs to come out in years was always a sure thing, and could help draw more people to The Witcher’s fantastic world of Temeria, while those who’ve already seen everything the video games have to offer but are hungry for more Witcher action can still look forward to the movie based on author Sapkowski’s books, which is slated for release sometime in 2017.